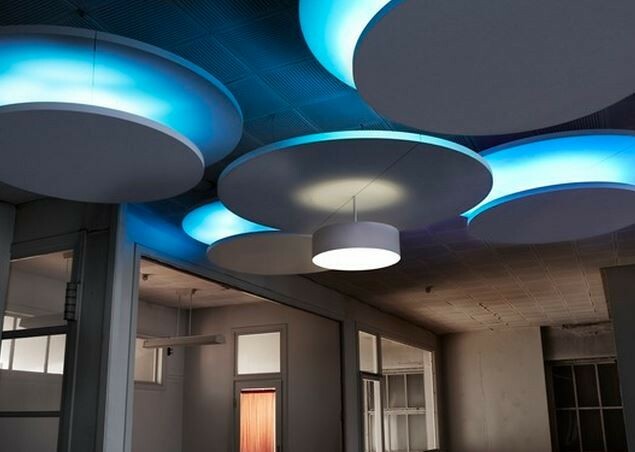 Freely suspended semi circular shaped acoustic panels that act as acoustic rafts fixed above workspaces. Typically these are suspended from the existing ceiling, soffit, fixtures or any suitable attachment by attractive Wires. Can be used in almost all situations to alleviate noise problems. Already installed in libraries, reception areas and open plan offices.